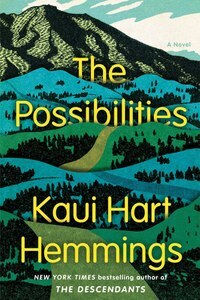 Review of ‘The Possibilities’ by Kaui Hart Hemmings. In Kaui Hart Hemmings’ new novel, The Possibilities, the tourist town of Breckenridge, Colorado, becomes the setting for a family tragedy that is also a romance. Like her previous book, The Descendants, which went on to become a hit movie, The Possibilities grapples with the complexities of modern family life. After a young man named Cully is killed in an avalanche, everything in his orbit is upended: the relationships between parents and children, lovers and ex-lovers, grandparents and great-grandparents, the self and its discontents. Over three days, the reader travels with Cully’s mother, Sarah, from Breckenridge to Colorado Springs for a memorial service, and back again, accompanied by Cully’s father, grandfather and a female friend of Cully’s, whom the bereaved family has never met. Not much happens, yet everything changes. Hemmings is a writer of humor and nuance, charting the internal trajectories of grief as they manifest in her characters. “A surprise spring of tears floods my vision. … None of this makes sense. Part of me wants to jump off the balcony. Part of me wants to sing from it. I love and hate this life.” Gazing at Pikes Peak after yet another surprising revelation about her son, Sarah tries to reconcile opposing realities. At the same time, she begins constructing a new identity for herself, one that no longer includes motherhood. Parts of the novel elicit laughter, others flashes of the deepest sorrow. The Possibilities, like a sturdy chairlift, transports the reader from the bottom to the summit of life, taking in the whole human range between ecstasy and despair. A snowboarder triggers an avalanche.